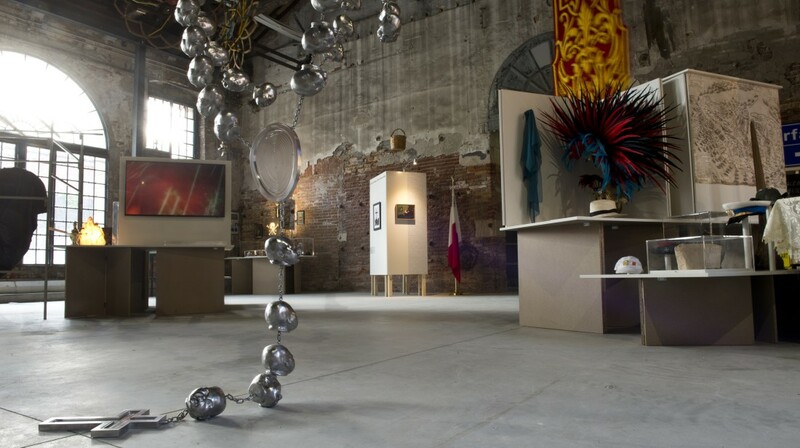 The Malta Pavilion, commissioned by Arts Council Malta as part of its programme to showcase Maltese arts internationally, is centrally located at the Artiglierie in the Arsenale Area in Venice and will run between 13 May and 26 November 2017. Attracting over 500,000 visitors, La Biennale di Venezia was founded in 1895 and it is now one of the most famous and prestigious cultural organizations in the world. This year, the Exhibition will also include 85 National Participations. The Malta Pavilion was officially opened by H.E. Vanessa Frazier, Ambassador of Malta to Italy; Albert Marshall, Executive Chair, Arts Council Malta; and Bettina Hutschek and Raphael Vella, Co-Curators of the Malta Pavilion. The conceptual exhibition: Homo Melitensis: An Incomplete Inventory in 19 Chapters, featuring works by contemporary artists as well as historic artefacts, delivers an associative investigation of Maltese identity in a complex installation that brings artworks, objects, and documents together in a non-hierarchical, a-chronological setup. The 19 chapters take audiences into an elaborate journey that travels simultaneously in different directions, taking in specimens of natural history, a national genome, an ancient shipwreck, migration, cartography, ritualistic objects, transgender characters, and other artifacts that playfully combine fact and fiction, identity construction and deconstruction, with subversive objects meeting obedient objects. Also present at the Malta Pavilion inauguration as a special guest was the celebrated Italian actress Maria Grazia Cucinotta. Cucinotta is best known for her role as Beatrice Russo in the much loved film Il Postino, directed by Michael Radford, about the poet Pablo Neruda, and as a Bond Girl in The World is Not Enough. She has starred in over 40 films globally, as well as featuring in many TV programmes in Italy and beyond. Maren Richter, the curator of the main Visual Arts exhibition in the Valletta 2018 Cultural Programme, will be speaking at “Harbour for Cultures”, the Eighth CEI Venice Forum for Contemporary Art Curators at Venice, UNESCO Regional Bureau for Science and Culture in Europe (Palazzo Zorzi, Castello 4930) on Friday 12th May.